Students from high schools across the country appealed to lawmakers during a forum on gun violence prevention on Capitol Hill. WASHINGTON – Students from high schools across the country met with Democratic members of Congress Wednesday to discuss gun control reform just days after another shooting claimed the lives of 10 and injured more than a dozen at Santa Fe High School in Texas. 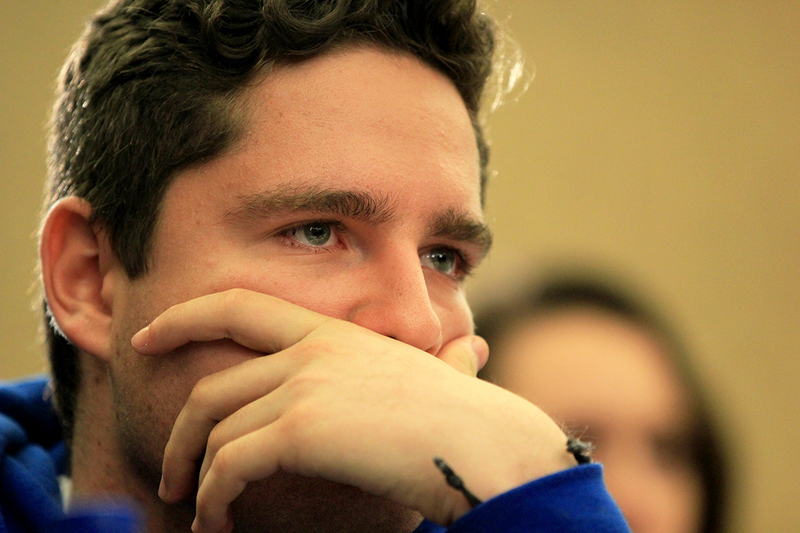 Daniel Gelillo, who organized his Rockville, Maryland, high school’s walk-out during the March for Our Lives DC event in earlier in the Spring, said his fellow students have “flooded” the voicemail of House Speaker Paul Ryan, R-Wis., with messages to “allow the vote” on legislation that would restrict some gun sales. 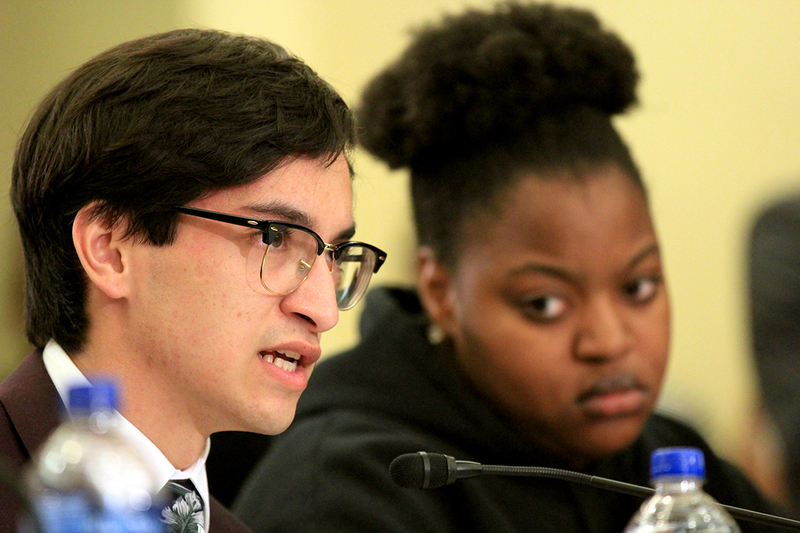 Daniel Gelillo, a student at Richard Montgomery High School in Rockville, Maryland and walk-out organizer for March for Our Lives DC, spoke to lawmakers during the event on Capitol Hill as Taylore Norwood, a student at King High School in Chicago, Illinois looks on. “There are just too many damn guns in America,” declared Rep. Frederica Wilson, D-Fla. She suggested a ban on assault weapons, the addition of more counselors in school districts, social workers for home visits to check on troubled children and more mentoring programs to intervene in the lives of children who might be tempted to join gangs as possible solutions. 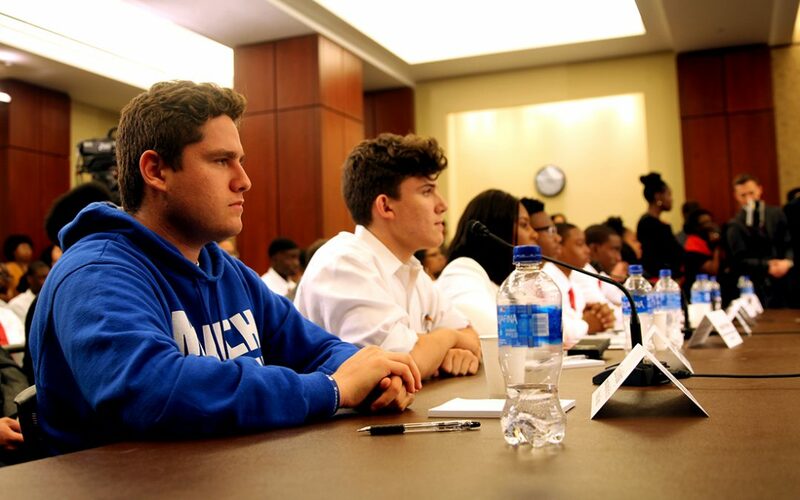 Charlie Mirksky, a student at Marjory Stoneman Douglas High School, where 17 students died during a school shooting in February, also attended the Capitol Hill event. “Still nothing’s happened on the national scale. In the past 24 years it’s only gotten worse,” said Mirksky. Charlie Mirksky, a student at Marjory Stoneman Douglas High School where 17 students died during a school shooting in February, at the Capitol Hill event. Representatives at the forum repeatedly told the student panel to hold Congress accountable and to vote for members in the upcoming midterm elections who will enact the change they seek. The forum Wednesday took place in the Gabe Zimmerman Room of the US Capitol Visitor Center. The room is named after a staffer of then-Rep. Gabrielle Giffords, R-Ariz., who was killed as he attempted to disarm the gunman who shot the congresswoman in 2011. Wesley Hill, a senior at Santa Fe High School, told Vice News for a short documentary about the aftermath of the shooting that the first person to contact him after he appeared on the news following the shooting was a member of March for Our Lives Houston. He said they were reaching out to the wrong people. “This is Santa Fe, this isn’t a city this is a small town, country town. I said, ‘You’re not going to take our guns away,’” Hill said in the documentary. Texas, an open carry state where the National Rifle Association held its 2018 convention earlier this month, has some of the most lenient gun laws in the country. Of the state’s 34 members of Congress, 25 have an A- or higher rating from the gun advocacy group. Incoming NRA president Oliver North said in a FOX News interview last week that the rise in school shootings in the U.S. can be blamed on Ritalin, a medication prescribed for ADHD and on a culture of violence. “The disease in this case isn’t the Second Amendment. The disease is youngsters who are steeped in a culture of violence. They have been drugged in many cases,” North said during an interview with FOX News on Sunday.